MRB is participating in the BCI Global Investment Conference in Stellenbosch, South Africa on 15th and 16th May 2018. 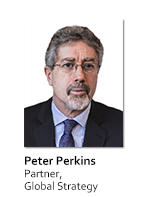 Peter Perkins will be speaking on the independent research panel on the second day of the event. The conference will provide independent wealth managers, investment consultants and multi-managers an opportunity to gain valuable insight and informed views, from well-respected investment professionals across the industry. The local and global speakers will focus on highlighting the key investment opportunities and risks in local and international investment markets.